Do you think you’ve thought of all possible uses for Dropbox? You haven’t. Neither have I. 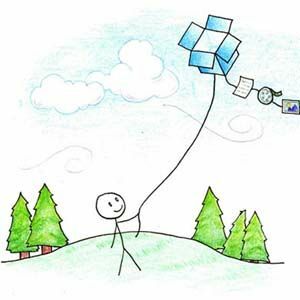 Writers like me will never get sick of dreaming up new ways to use Dropbox, because this seemingly simple tool can be used to accomplish so much. It’s a program that provides a simple service – sync a particular folder on your computer with all of your other computers and a web service. But you can use this to trigger actions on other computers, keep a copy of your favorite software ready on other machines, sync your entire eBook library and much, much more. Here are just a few ideas that changed the way I use Dropbox; maybe they’ll change the way you use it too. And as always, fill me in with your ideas below. Whether you’ve downloaded everything from our list of the best portable apps or have your own carefully crafted collection, Dropbox is a convenient way to access your collection from any computer you own. Just keep your favorite portable apps in your Dropbox and you’ll have access to them everywhere. Even better, in many cases your settings will sync, meaning you can use your program on one computer just as you set it on another. Have access to your eBook collection, everywhere. If you use Calibre to manage your eBook collection, good news – with Dropbox you can keep your library in sync everywhere, easily. It won’t work for proprietary, DRM-based ebook apps like Kindle or Nook but it’s perfect for your open books. The amount of space Dropbox provides probably isn’t massive enough for your music collection and certainly isn’t enough for your videos, but you’d be surprised how many eBooks you can fit into your Dropbox without trouble. Sync your entire Calibre library folder and your settings and metadata will follow. Read more about combining Dropbox and Calibre here Combine Dropbox & Calibre For Universal Access To All Your E-Books Combine Dropbox & Calibre For Universal Access To All Your E-Books Read More , if you’re interested. Also noteworthy, this provides you with an easy way to access your eBooks on your tablet or smartphone. Simply download the EPUB files from your Dropbox app and import them to your e-reading app of choice. Do you want to know what’s going on with your computer while you’re away? Why not set up a program to take screenshots every minute and save them to your Dropbox? This simple trick lets you watch what’s happening on your machine, useful in case of theft. Labnol outlines the process for Windows here, which requires a download and a simple Autokey script. Bonus idea – set up a webcam with an open window and you’ve got a makeshift security camera. We all know Dropbox syncs the Dropbox folder, but did you know you can set it up to sync any folder on your computer? The Dropbox wiki outlines the process for Windows, Mac and Linux, including several tools including. For more information, check out this article on how to use symlinks to sync any folder with Dropbox How To Easily Synchronize Folders Outside Dropbox Using Symlinks How To Easily Synchronize Folders Outside Dropbox Using Symlinks Read More . Do you want to sync your desktop? Check out the Dropbox wiki article on syncing your desktop for specific advice. Your professor requires you to send in your essay by midnight, but will she really look at it then? If you’re skeptical, and need a few extra hours to make edits, share a link to your essay on Dropbox instead of emailing it to her directly. Any changes you make will automatically be updated, so assuming she downloads it the next day you’ll be able to make the deadline while still making corrections (via Lifehacker). Why not? With Dropbox you can offer public access to any file, including an HTML document. 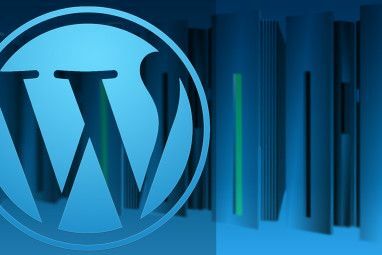 It’s easy to use this to build and host a quick website, as outlined on the Dropbox wiki. Whether you want to build yourself a custom homepage or test your HTML skills, this is a great way to quickly get something onto the web. (The NHL Scores section just depresses me. I don’t know why I haven’t deleted it #firebettman). Come to think of it, Dropbox is also a great way to directly share any photo or text document. Just remember: add ?dl=1 to the end of any file you want to share directly; without that, users will be taken to a download page for the file. Use Dropbox to print files from your mobile phone. You’ll need to set up a folder in your Dropbox that sends files to a print queue, then add files to that folder when you want something printed. It requires you to have a computer at home that’s turned on and connected to your printer, but it’s an interesting idea. Read more on the Dropbox wiki (Windows only, though I’m sure clever people could find workarounds). 3 unique and creative uses for Dropbox 3 Unique & Creative Uses For Dropbox Accounts 3 Unique & Creative Uses For Dropbox Accounts There is no end to just how useful Dropbox is, and it's no secret how much all of us here at MakeUseOf love the service they provide. You'd think it couldn't get much better than... Read More , in which Nancy shows you how to play music over Dropbox, create a portfolio and create your own website. Four ways to integrate Dropbox into your life 4 Unique and Cool Ways to Use Dropbox 4 Unique and Cool Ways to Use Dropbox Read More : one of the first articles I wrote for this site, this article outlines using Dropbox for torrent downloads, keep your calendar synced, sync your to-do list and sync your gaming. 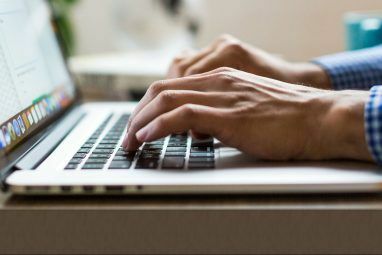 10 uses for Dropbox you may not have thought of Top 10 Uses For Dropbox You May Not Have Thought Of Top 10 Uses For Dropbox You May Not Have Thought Of For many advanced computer users, Dropbox is the premiere cloud-based storage and sharing document service. 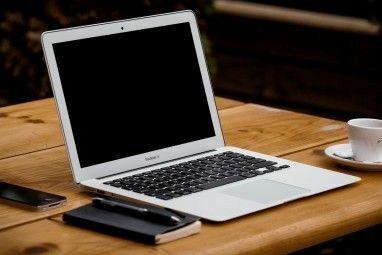 It has replaced the Documents folder on my Mac, and is the primary way I sync files between my devices.... Read More , in which Bakari outlines everything from automatically uploading from iOS to using IFTTT hacks to automate your files. Do you want even more? Check out the tips and tricks page on the Dropbox wiki or the comments below. I’m certain readers will share their ideas. Let’s keep growing the list! Explore more about: Cloud Storage, Dropbox, Ebooks, Remote Access, Remote Desktop, Web Hosting. wow! never thought that dropbox could just be that awesome, would love that app. Would Dropbox be better than an external drive, if my only need is for backing up files? Ok this is amazing. My Dropbox has been sitting around collecting dust! Time for some fun experiment. nice article. have some good ideas here for me to try. Dropbox get better and better! I used to use Dropbox for a Minecraft server, so it was portable and only needed a quick sync when I got on a network...And if I needed to update files when it was on a remote computer, I could just change the files on my local computer and away we go! Nice tips! I must say that those Portable Apps is a nice one! Interesting the website one. Going to try it out and see what it can do. Opportunities galore for using it !! This is great but nowadays i'm mostly using skydrive. microsoft gave me 25GB. Try these same ideas! They'll probably work. Wonderful article for the many uses of dropbox! Kudos! You have more space on Dropbox or less music then me. I mentioned it before - but synching your windows wallpaper slideshows. Update one machine, your other will have the shiny new pictures without a lick of effort. I do this same trick but with computers running Windows. Ubuntu and OS X. Same folder syncs to all systems. Should have added it to the list but I didn't think of it, so thanks for mentioning it! I just downloaded MUO's DropBox Tips cheatsheet. Thanks for that as well ! WOW, what great ideas keep them comming, I was using dropbox to sync files between my portable devices and my office desktop. but I never thought to try anything like all of these ideas. Thank you. This article makes me realize that dropbox is just too Awesome. i think i will certainly set up dropbox to sync extra folders (like my game saves), since i reinstall windows so much (and have the dropbox space to hold most of it). Great article! Thanks for the idea Portable Apps! It's amazing that such a simple, obvious idea didn't come to me over the years. Glad I pointed it out, then! Almost left it out for being too obvious.